We're not renowned for our crafting skills at Quirky Kook Towers but in extremis we have been known to do our fair share of slapping on paint and sticking stuff. And a rainy, half term holiday in October is definitely the time to resort to rolling out the messy mat and getting stuck (sometimes literally) in. Mostly because it's Halloween this week (but mainly because our collection of pebbles was becoming mountainous) we've been busy making Pebble Monsters. 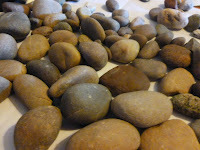 Pebble Monsters are, like all my very favourite crafting attempts, very simple and require absolutely no special skills, talent or equipment at all. 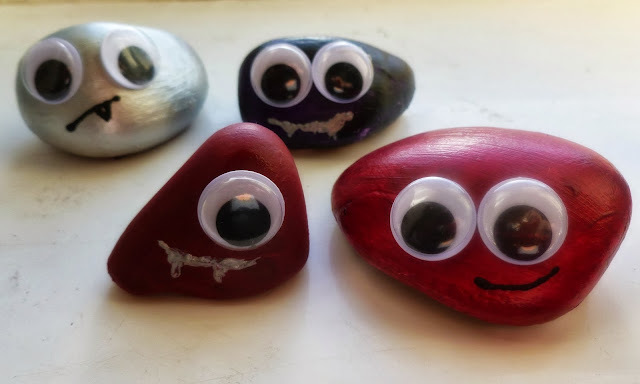 What you do need are pebbles, obviously, acrylic paints, paintbrushes, PVA glue, a selection of googly eyes and a bottle of wine. First give the pebbles a couple of coats of white acrylic paint to seal the surface, it makes it much easier to apply bright colours later. Then get painting. 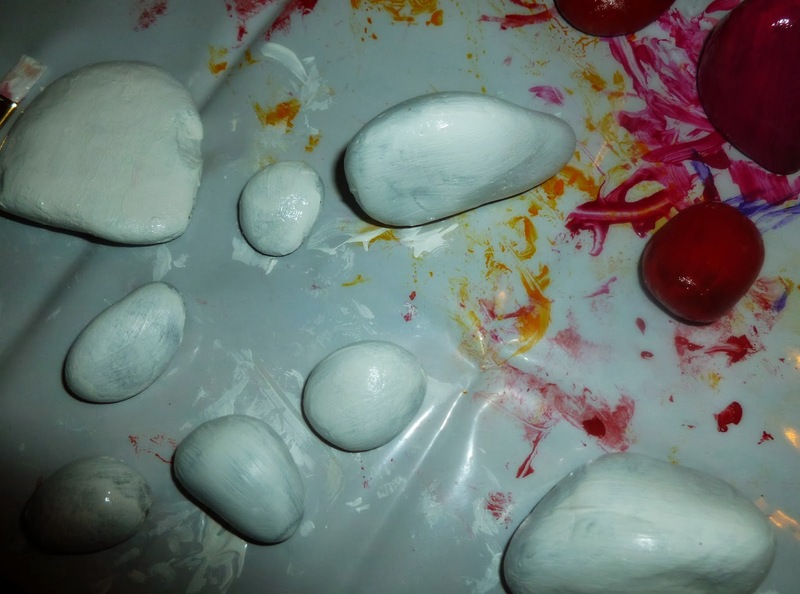 Build up thin layers of acrylic paint leaving the pebbles to dry between coats. This is when the bottle of wine comes in extremely useful. Remove the cork, pour a glass and try to drown out the little one's continuously "Are they nearly dry yet?" Keep painting layers until a) you're happy with the colour and finish on your pebble and b) Mummy has drunk all the wine. Apply a thin layer of PVA glue over the surface to seal and add shine. Glue on googly eyes, as many as you see fit and, when dry, paint on a mouth with a thin paintbrush.